The Cedar Lee Theatre (2163 Lee Rd, Cleveland Hts.) is proud to continue its presentations in partnership with National Theatre Live to bring some of the most acclaimed London productions to Cleveland. With an incredible line-up of plays featuring Oscar-winning and Oscar-nominated performers the upcoming schedule is the most star-studded to date. In addition to several exciting new productions, two of the most popular titles will be returning for encore presentations. Both The Audience (starring Helen Mirren) and Coriolanus (starring Tom Hiddleston) are back by popular demand. 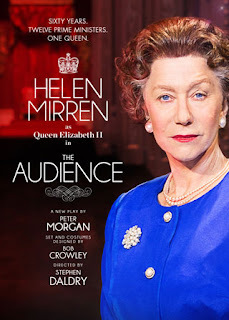 Winner of two Tony Awards® including Best Actress, The Audience sees Helen Mirren reprise her Olivier Award-winning performance as Queen Elizabeth II, following her Academy Award® win for the same role in The Queen. Encore screenings of the original West End production of The Audience, captured live in London in 2013, feature an exclusive Q&A with Stephen Daldry and Helen Mirren. Directed by Lyndsey Turner (Posh, Chimerica) and produced by Sonia Friedman Productions, National Theatre Live will present this eagerly awaited production in cinemas. Tickets are $20 and are on sale 60 days before each performance at the theatre box office or online at www.clevelandcinemas.com. NT Live events are distributed outside the U.K. through New York-based BY Experience, Inc, the pioneer of global live “alternative content” digital cinema events. For more information visit www.byexperience.net.